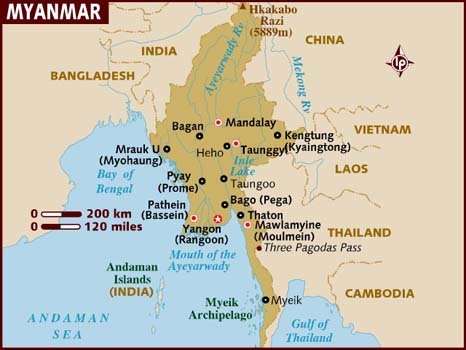 Summary (from the back of the book): When a military junta took pwoer in Myanmar (then called Burma) in 1988, Aung San Suu Kyi--the daughter of General Aung San, who negotiated Burma's independence from Britain in 1974--entered Burmese politics. 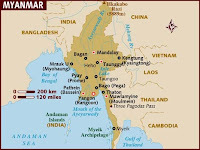 Influenced by Gandhi's philosophy of nonviolent protest, Suu Kyi helped found the National League for Democracy to encourage the establishment of democracy in Myanmar. When the military junta held general elections in 1990, the National League won easily, and Suu Kyi should have assumed the post of prime minister. Instead, the military nullified the election, and Suu Kyi was placed under house arrest. Since then, she has continued to work for the cause of democracy--despite being in and out of house arrest--for which she was awarded the 1991 Nobel Peace Prize. 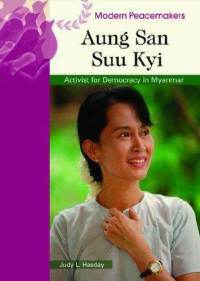 Review: Aung San Suu Kyi has always fascinated me; she is such a strong woman who has sacrificed so much for her beliefs and her country. To be honest though, I am not good at reading biographies so I chose this book because it is thin and I knew I wouldn't get bored. This book is the perfect type of biography for me to read: basic information, straight to the point, not too long, but really interesting. It covers her childhood, the influence of both her parents (both educated, caring, involved people), her international education, her courtship and marriage to Michael Aris and her life with her two sons. Obviously, her work for democracy in Myanmar is paramount to her story and it is well-told in this book. There is enough information for the reader to understand the issues and various political players without getting overwhelmed with too much information. 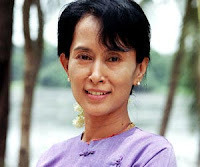 I think Aung San Suu Kyi is inspiring. 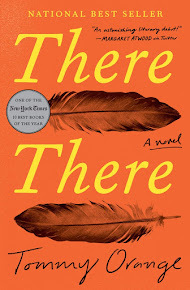 At the time this book went to print (2006) she was still under house arrest, but on November 13, 2010 she was released. The only other book I've read that takes place in Myanmar is the wonderful YA novel Bamboo People by Mitali Perkins, which was one of my favorite books of 2010. Click to see my updated Google Map.